Bad news for PoGOLite once again. PoGOLite launch activities have been terminated at Esrange. We have been waiting to launch since 1st July, but weather conditions have not been good enough. This is very unusual. 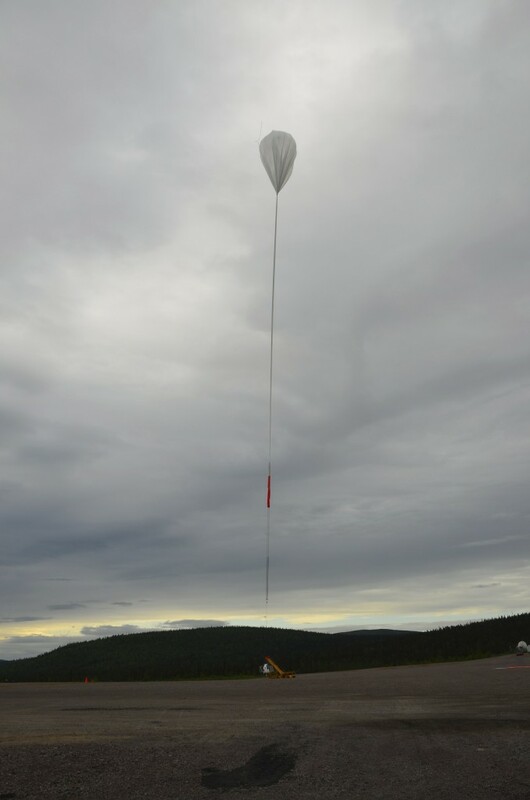 The low pressure regions which have been oscillating back-and-forth over Esrange have lead to wind conditions which are incompatible with launching a million cubic metre volume balloon. Now, at the end of July, the stratospheric winds are no longer stable enough to support a flight Eastwards towards Canada and beyond. After a weather briefing this morning, it was decided to start the PoGOLite countdown. We currently foresee a launch around 2230-2300. Preflight tests are on-going and all is OK. We will move to the launch position in an hour or so. So far, so good! 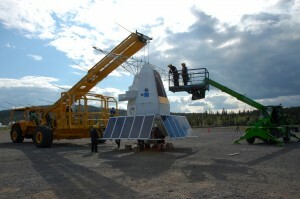 PoGOLite being prepared for launch. 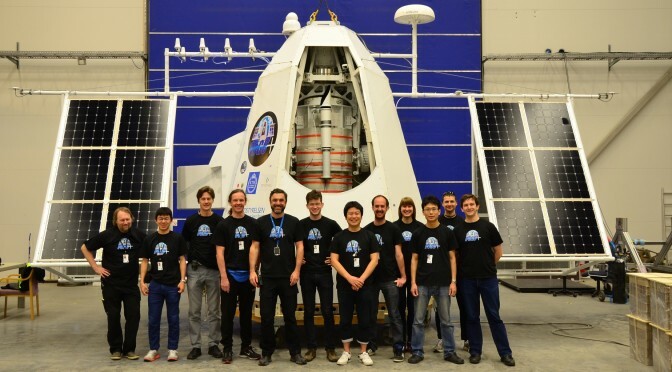 POGOLite is almost ready for launch! As you can see from the photograph, the polarimeter, which once filled our lab at AlbaNova, is now dwarfed by the protective gondola and solar cell arrays. The picture was taken just before Midsummer, during a launch rehearsal. This provided us with a realistic environment to tune-up our pre-flight checklists and confirm that we can operate the polarimeter, pointing system and our satellite communication systems together with the other balloon systems.